Bavarski was happy to make there first performance at Musik Fest! Here’s a few clips!! The 2016 Bavarski T-Shirt is being printed now!! Grab one now while they are still available!!! And if your going to the GAF in Toledo, get it before the festival starts to show who your going to see at GAF!!!! As soon as they come in, they will be available to order here!! 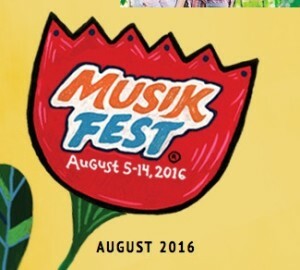 Bavarski Aug 6th – Musikfest! 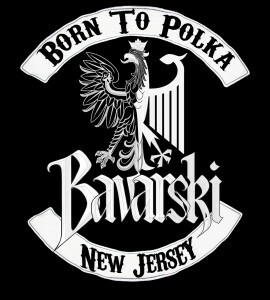 Bavarski to spend Fat Tuesday at Reichenbach Hall in NYC with it’s new blend of NYC style polkas. Munich in Midtown When two Germans immigrated to New York City back in the first half of the last century, they brought with them a hearty appreciation for German culture, German food, and especially German Bier…. About Oktoberfest presented by Yuengling Experience an authentic German Oktoberfest with a special Pennsylvania flair. 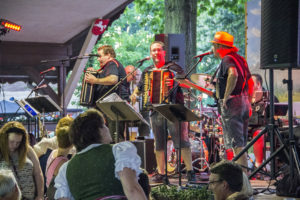 Highlighting the event is the 100-foot by 240-foot Yuengling Festhalle tent at PNC Plaza, featuring German food, beer, and polka, rock and party bands.